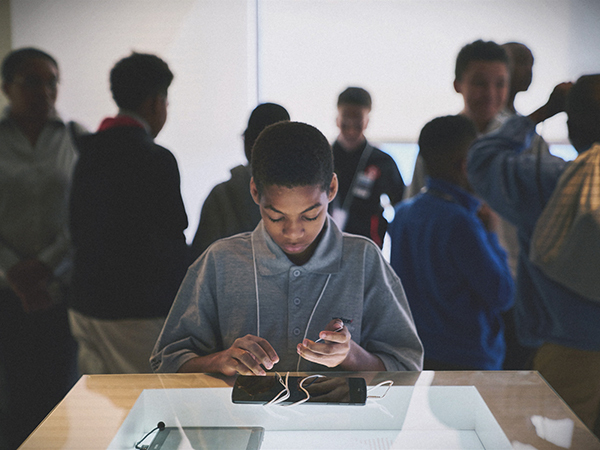 In its ongoing commitment to tech immersion for minority students, Verizon Innovative Learning now offers a summer program to expose minority males to a variety of areas within the tech space including mobile app development, 3D design, creating and flying drones, and developing virtual reality and augmented reality experiences. The Verizon Innovative Learning for Minority Males program is under the umbrella of the company?s #weneedmore campaign, which debuted in 2015 to get kids interested in STEM and understand the number of STEM careers available to them. ?We did some research and looked at the stats around minority males going into STEM fields. We were aware of the programs geared towards girls such as Black Girls Code, but we noticed a gap in getting males on the path to STEM careers. 3 percent of scientists and engineers in the U.S. are African American and we felt that young African American male students are probably not getting the skills, support and mentoring they need to actually go after those computer science and engineering degrees,? Justina Nixon-Saintil, director of education for the Verizon Foundation, told TNJ.com. She continues, ?We launched the program to provide some support to middle school minority males because we felt that was an age where we can still get them excited about STEM.? The 3-week program takes place in the summertime, and what?s unique about it, according to Nixon-Saintil, is that it continues throughout the academic year. ?In the summer, the kids get 2 to 3 weeks of immersive STEM instruction. Then, one Saturday per month, they come back to the campus and continue to get those STEM skills. We wanted it to be continuous engagement,? she explains. There are sixteen campuses that participate, and each campus accepts 100 to 200 students depending on capacity of the campus and whether the campus offers a day commuter program or a residential program. Nixon-Saintil says program officials are proud of the growth so far. ?We started with 4 campuses in 2015 and have been expanding every year since then,? she notes. Participating schools include Dillard University, Morgan State University, California State University and Florida International University. Taught by college professors who are sometimes partnered with middle school STEM teachers, the students are also treated to mentorship from university students who engage them in the summer and throughout the year.